Gorori, a gorgeous wide-eyed calico, came in from the cold streets. She captured hearts with her big personality and was brought to ARK. 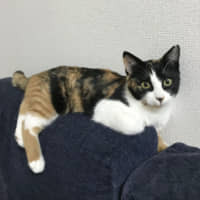 Believed to be about 5 months old, Gorori was more specifically a TNR cat, part of a trap, neuter, return program that helps keep the population of strays down and saves kittens from being killed at the pound. 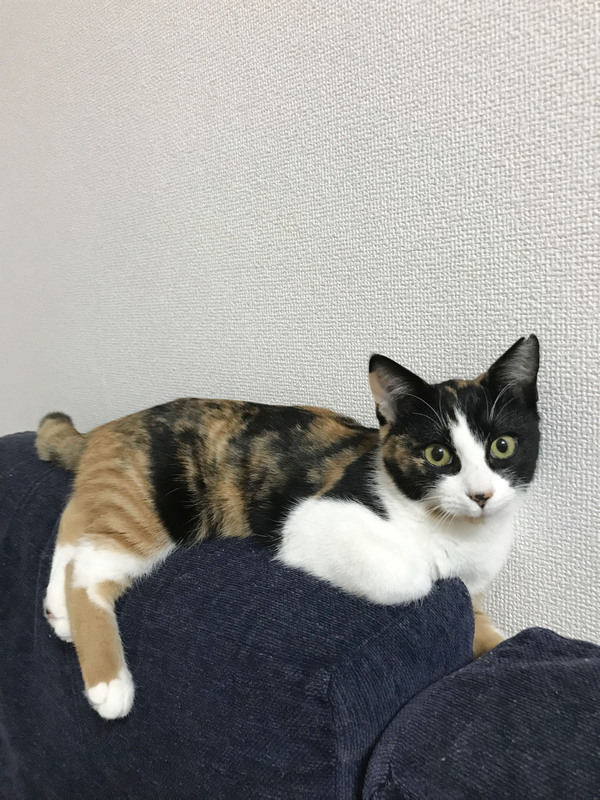 She is now in Tokyo and hoping to find the warmth of a home all her own. Even more striking than her beautiful colors is her attitude toward life. Confident and happy, Gorori exhibited no nervousness when brought to her new surroundings. She never felt the need to hide. She tries her best to communicate with humans and let them know just how she would prefer things. She craves affection and responds to it with thunderous purring. She adores toys and displays sliding dives and Olympian jumps in pursuit of them during games, but is a champion at curling up and slumbering right next to you as well. Gorori is a perfect family cat. Now, all she needs is that perfect family.